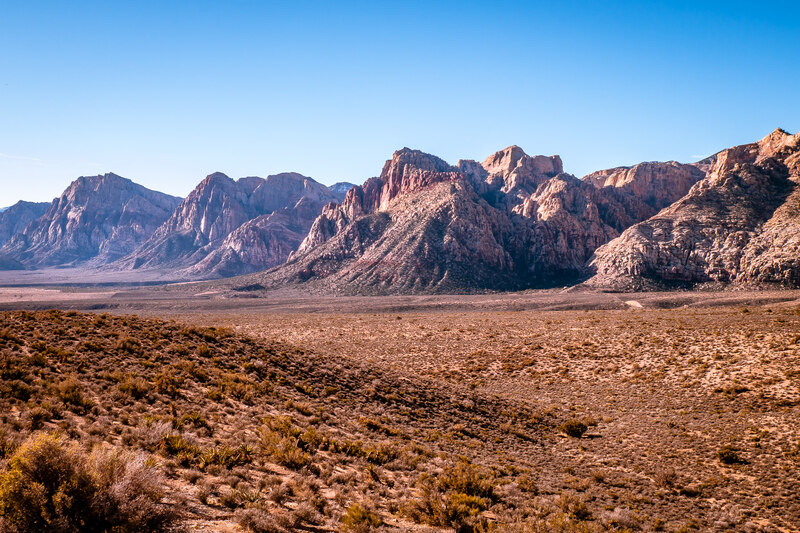 A mountain range stretches into the distance at Nevada’s Red Rock Canyon. 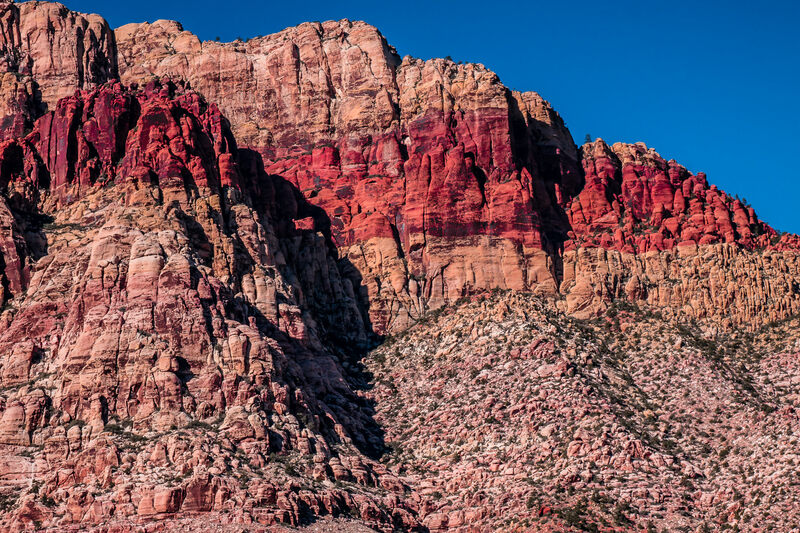 Detail of the layers of rock in a geologic formation at Red Rock Canyon, Nevada. 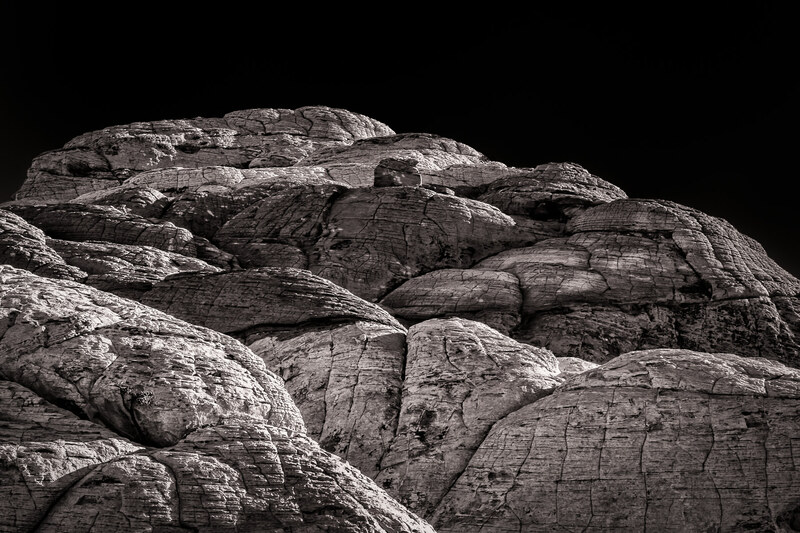 Detail of rocks at Nevada’s Red Rock Canyon. 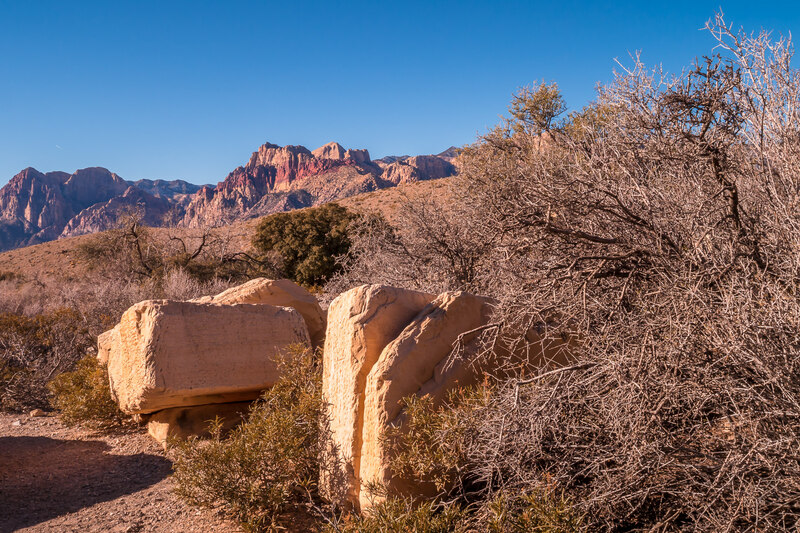 Large rocks lie on the canyon floor at Nevada’s Red Rock Canyon. 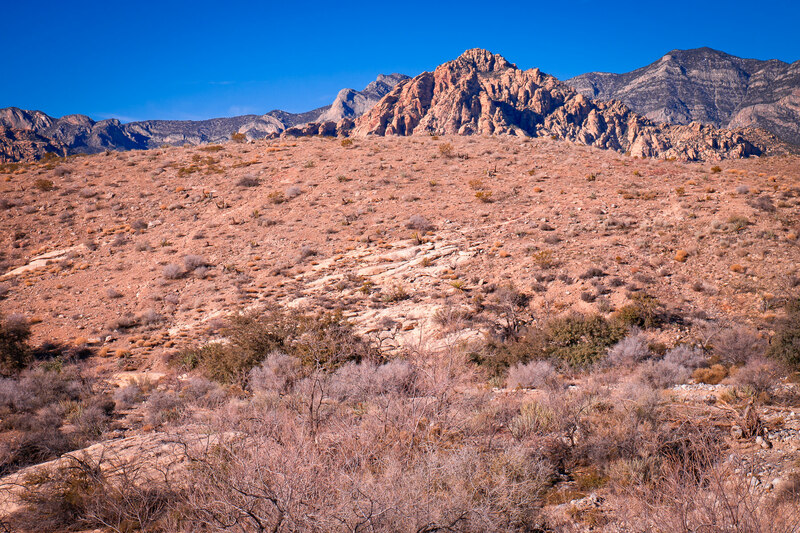 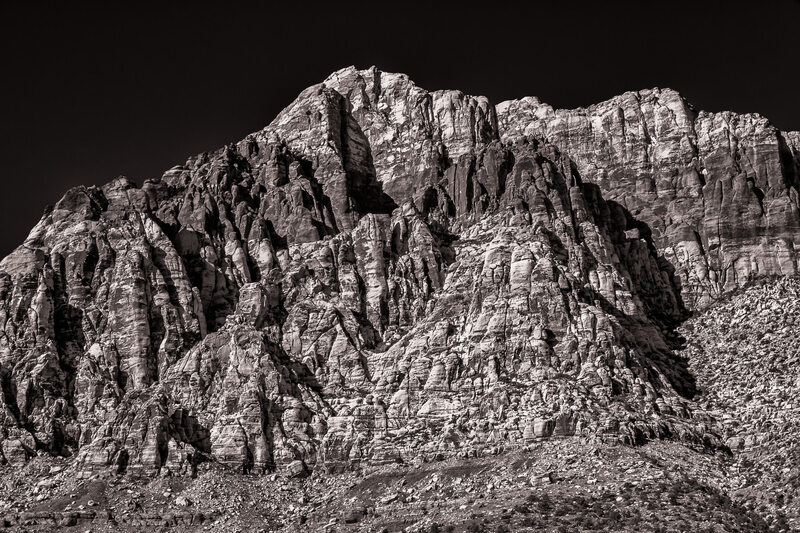 A dry, rocky ridge bakes in the Nevada sun at Red Rock Canyon. 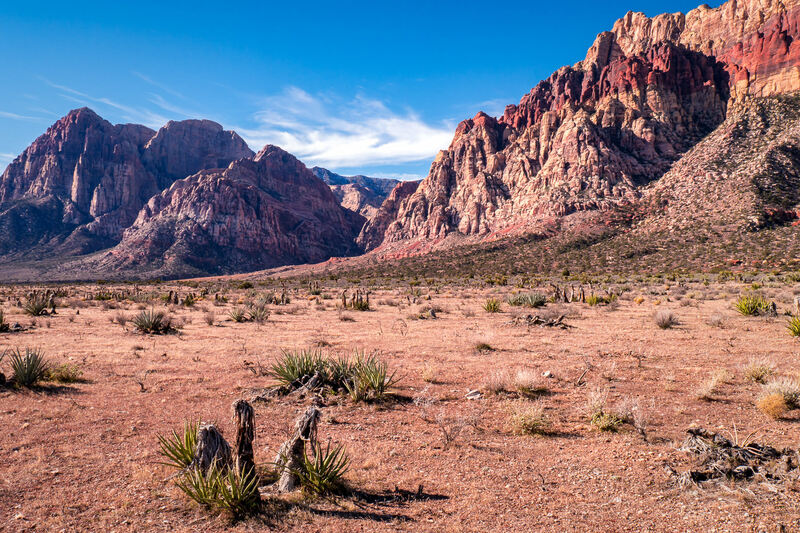 The arid, appropriately-named Red Rock Canyon, near Las Vegas. 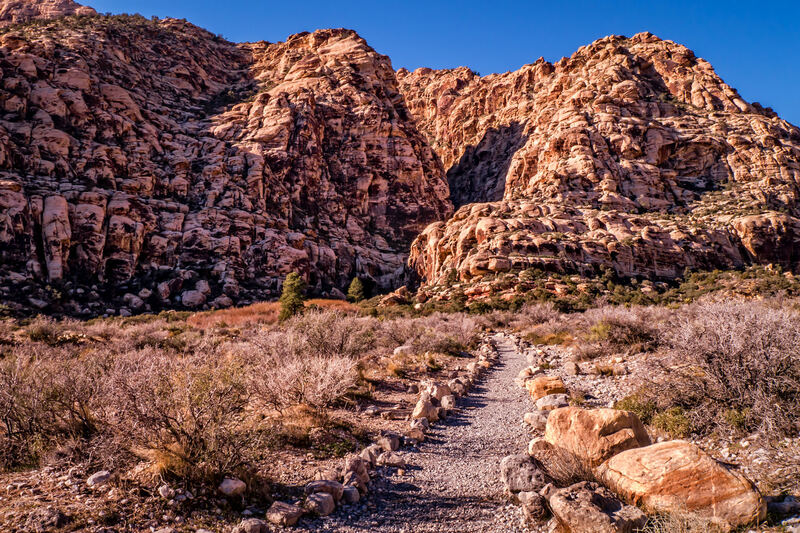 A rocky trail leads through the arid desert of Nevada’s Red Rock Canyon. 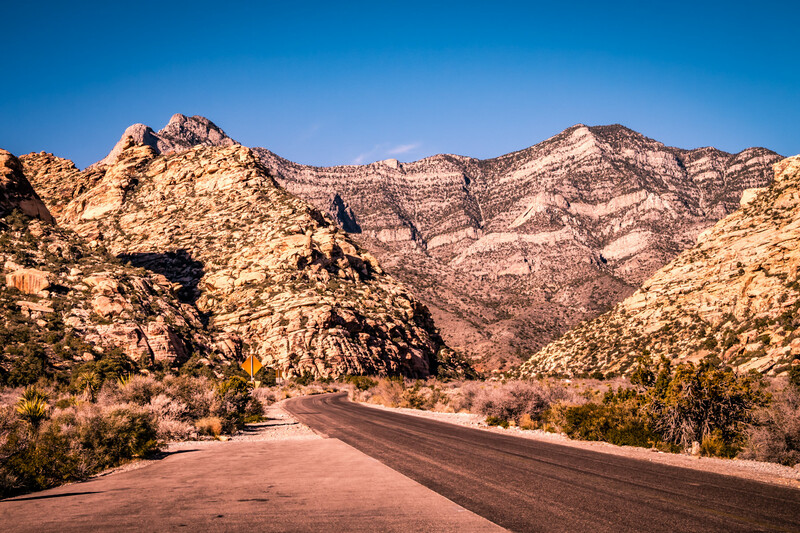 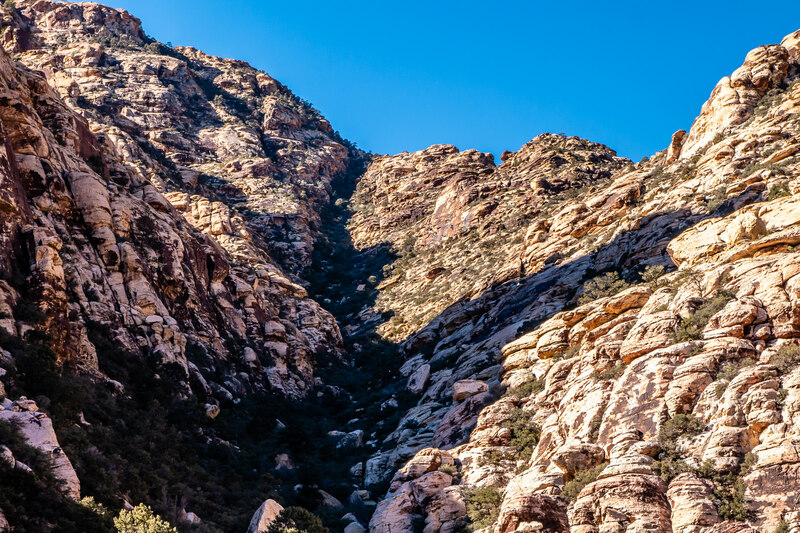 A road stretches through Nevada’s Red Rock Canyon towards tall desert mountains.